You could come up with worse family outing ideas than visiting Great American Ball Park with kids. 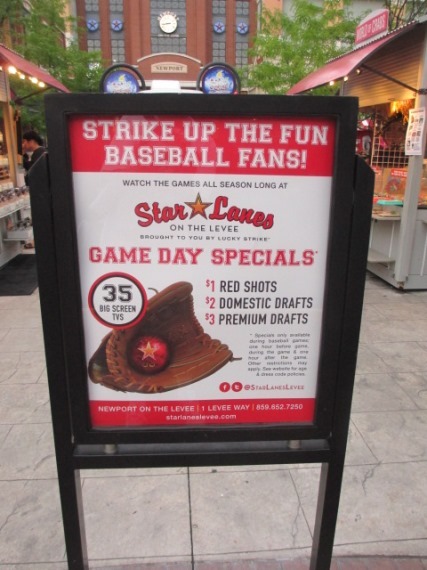 Great American is one of the most kid-friendly ballparks in MLB, and the Reds offer lots of family-friendly deals for fans. Reds employees are known for hanging curveballs. #1) The Fan Zone. 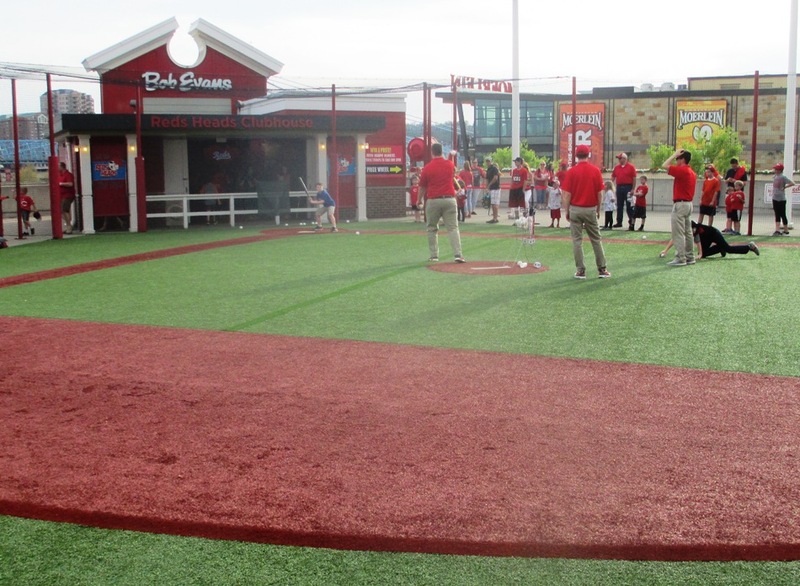 The Fan Zone in the right field corner of GABP is a multi-level playground featuring a wiffle ball field, interactive games with prizes, and the Reds Heads Clubhouse for Kids Club members. A big slide leads from the upper level to the lower level. Often Reds employees will come out and pitch to the kids. 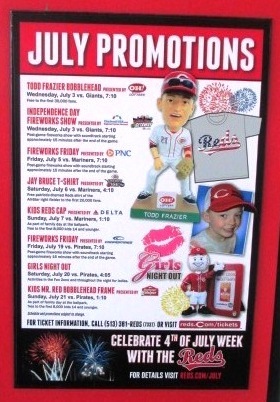 In addition to all of this, there are fireworks on Friday nights and kids’ giveaways on Sundays. Bowling! Heck, let’s skip the ballgame! #2) Newport-On-The-Levee. If you really want to wear the kids out, you can park cheaply in the Newport-On-The-Levee complex across the river in Kentucky, and make a day of it. There’s an aquarium, a movie theater, a Gameworks arcade, and many more places for the kids to have fun and for parents to spend money. Lots of places to eat and fun for kids of all ages. When going to the game, park in Newport and use the inexpensive Southbank Shuttle, and get dropped off right at the door of Great American. #3) The Riverfront. There’s a pretty nice riverfront in Cincinnati, with a beautiful walking and bicycling trail, and a perfectly nice playground for the kids to burn off steam at the foot of the Roebling Bridge. Good if you’re there, say, an hour before the gates open. The kids can burn off enough steam to sleep a couple of innings. 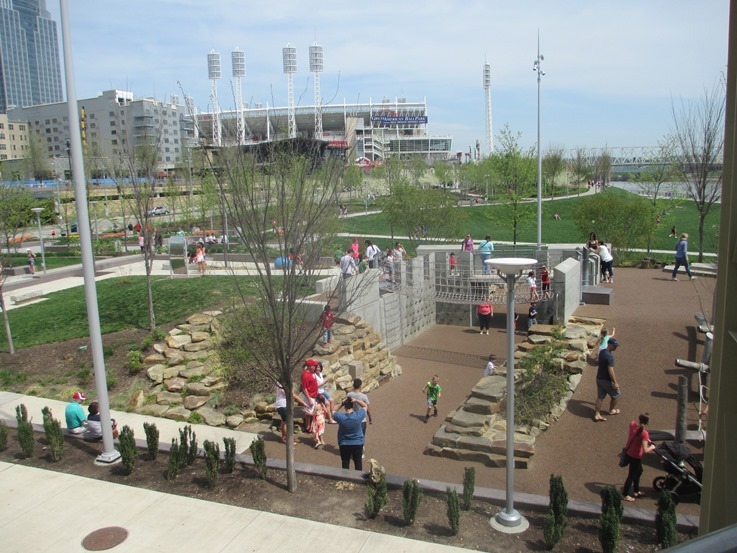 There’s three places to see when visiting Great American Ball Park with kids…if you want to save money on tickets, check this out.